I realised things had gone wrong when Yoshiyuki Tomino started hitting Takami Akai with a plastic fan. It was at a European event where the organisers had prided themselves on inviting dozens of Japanese guests, but had fatally decided to put them on the same stage. Industry figures, used to holding court at deferent advertorial public events, suddenly shared the limelight with other celebrities, before a clueless crowd that didn’t know its Arslan from its elbow. On this particular day, questions aimed at members of Gainax kept rehashing the studio’s well-rehearsed performance of being fans made good. 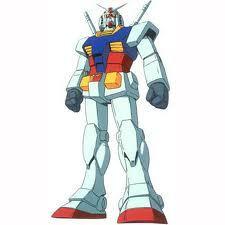 Anime was all a bit crap, it was agreed, and then those otaku kids came along and made it better, and fan-friendly. Tomino lost it after about six minutes. I timed him. He grabbed his microphone and scowled at the audience. Then the slapping began, as he turned on Akai, the Gainax member closest to him. His point, buried in all the horseplay, was that the people who made Gundam hadn’t sat around declaiming their hatred of anime. They loved it, too. They had fans, too. They had a following and a tribe who dug what they did, and Gainax might have made their work in reaction to it, but otaku, that self-styled group of the world’s greatest anime fans, didn’t actually own the high ground on deciding what anime was. Tomino was annoyed that his work in the 1970s was being presented as some sort of ossified establishment against which the young kids were railing, when in fact he’d been the one in 1981 standing at the front of a riotous crowd of fanboys, including the youngsters who would go on to set up Gainax, proclaiming the “new anime century”. Meanwhile, Gainax were getting annoyed themselves, at all the questioners who kept on referring to them as if they were snot-nosed punks – the translation “Gainax ragazzi” repeatedly hissing from the headphones of the Italians to either side of me. “I have been a company executive,” protested Takami Akai, “for TWENTY YEARS.” Both sides were irked at other people co-opting, as an anthropologist would say, the stories they told themselves about themselves, which worked fine in press releases and soundbites, but collapsed under the weight of due diligence. However, it was clear that anime had many tribes, and that some clans of creatives were rarely confronted by the others. Ian Condry’s new book, The Soul of Anime, goes in search of that nebulous something, that Tomino supposedly had and lost, and which Gainax supposedly grabbed and hung onto. What is it that makes Japanese animation different? And by association, successful? The best answer to this question has been offered by the director Peter Chung, in numerous lectures and in an interview for Condry’s book, although it is most accessible in a forum post from 2007. Chung offers a series of important, technical-determinist suggestions as to why anime looks and works the way it does. Nobody has really been able to top Chung’s assessment, but Condry tries a different tack by focussing on how creators consider their implied audience, and what the audience (or people who claim to be that audience) do with the works they get from the creators. In the hands of the worst kind of cultural theorist, this could have all too quickly turned into a book about nothing, denying all creativity in favour of tedious weaboo self-regard. But Condry is true to his role as a cultural anthropologist, creeping Attenborough-like through the jungles of the anime industry, observing the animators as they pick lice from their fur and fling faeces at each other. He witnesses Mamoru Hosoda pitching the storyboards for Summer Wars, and shadows Kou Matsuo in a variety of meetings on the story, look, script, audio and artwork for Red Garden. Condry’s fieldwork seems to have been largely undertaken in 2006, at the very peak of the anime industry’s output, mere months before loans were called in, crates of DVDs were returned, and the early noughties gravy train came tumbling off the rails. For that alone, it’s a valuable snapshot of a precious, halcyon moment, when Gonzo staffers rubbed their chins and talked of expanding into China, and Bandai technicians drank coffee through the night trying to work out why the hell Pokémon had worked. In searching for “the soul of anime”, Condry has set himself a grandly impossible task, not the least because nobody knows what a “soul” is, and the jury’s frankly still out on the slippery and polysemic nature of “anime”. Condry engages with some of the tribes of the anime world, and allows them to tell some of their stories, allowing his definition of anime to embrace everything from an Oscar-winning feature to a TV series that nobody can remember. It will come as no surprise to readers of this blog that I wish he had devoted more space to the actual creators, or other nooks and crannies of the industry, rather than two chapters spent wallowing in the shallow waters of fandom. But part of Condry’s argument is that the fans are also creators. Is fandom a crucial element to understanding modern anime? Yes, undoubtedly. But for every good work on fandom studies, there are a hundred pointless navel-gazing articles about what someone did during their vacation, people who dress up as elves and call it research, and interviews selected from a population comprising the next table at a convention bar. Fortunately, Condry is one of the good guys, and refuses to skimp on the actual hard work, going to Japan, getting his foot in the door at actual studios, and actually doing the legwork, observing the people who actually make anime, actually making it. Condry’s work uncovers some precious facts and incidental details. His analysis of Gundam’s first season from the perspective of the toy company that failed to capitalise on it, and indeed which regarded Gundam itself as a failure, presents a strong challenge to prevailing historiography. It counters, as it were, the story that the fans tell themselves about themselves, and suggests that, if anything, the Bandai toy conglomerate saw the otaku revolution coming two years before the otaku did. 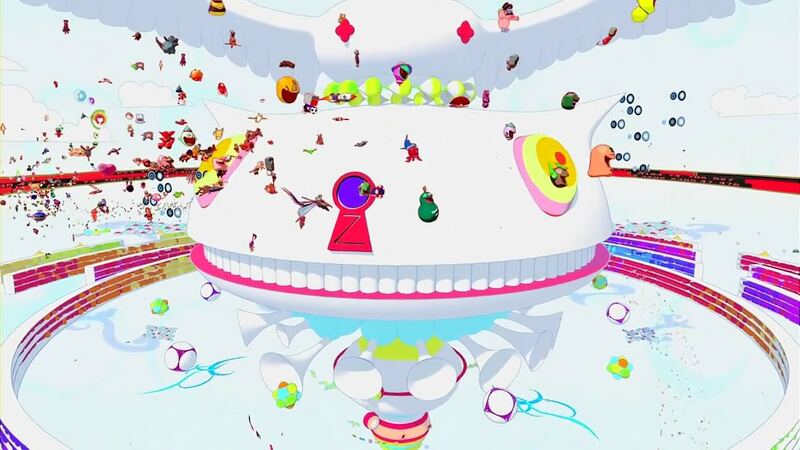 Condry outlines a modern industry where producers grimly concoct half a dozen cookie-cutter characters designed to sell mascot toys, and then pull a story out of thin air that vaguely gives them something to do. But is that really the “soul” of anime? It sounds to me more like the very poison that is destroying the soul of anime, abrogating authorial responsibility, and dumping half-formed, ill-conceived camp on a dwindling bunch of consumers who may or may not be the audience. Furthermore, if you’ve spent all your money on sequins for your costume and have actually stolen the cartoon you purport to love, then I question whether you’re a “fan” at all. Of course, not every anime fan is a chump who’ll pay £500 for a box set of Schoolgirl Milky Crisis. Some are I.T. prodigies and cultural bricoleurs who actively appropriate Japanese animation for their own uses. A chapter on fansubbing perceptively refers to it as “dark energy”, matching the similar pronouncements of Ramon Lobato about the need to engage with the contributions of “informal” distributions networks. There is, to be sure, some interesting stuff to be written about informal networks, although discussions of fansubbing can all too often turn into a dreary recounting of the justifications of its practitioners, and a coy avoidance of the real issue, which is not fansubbing at all, but true piracy. I would much rather have had another couple of pages of Condry interviewing Studio Ghibli’s Toshio Suzuki than more quotes from an Internet spat between a couple of pompous fanboys, but unfortunately one of the phenomenological problems with cultural studies is that everyone gets their say, no matter how ill-informed, because even being wrong makes you part of the conversation. Condry omits what, for me, would be more interesting discussions of “dark energy”, such as the story of the high-profile film festival organiser, left in the lurch by a tardy courier, who secretly decided to screen a fansub for paying customers and hoped that nobody would notice. But Condry has other revelations on hand, and they are awesome, such as the story that that Toei itself, the behemoth of the anime world, is not above giving away an entire season of a series to a foreign TV channel, for free, as a loss-leader against being able to charge for later instalments. Wait till the pro-downloading lobby hears about that! He also includes some handy ammunition to use against those authors who think that anime fandom is one joyous international consensus, quoting from a Japanese author who regards the reaction of American fans to Haruhi Suzumiya as so entirely at odds with the reaction of Japanese fans that they might as well have been watching totally different shows. I wish there had been a little more cross-cultural comparison. Condry does allude on occasion to Disney and Pixar, not the least in a stinging comment that even lesser American cartoons ran rings around Spirited Away at the American box office. But his plea for a special quality to animation from Japan surely requires a deeper appreciation of how things are done elsewhere. Does he think Brad Bird doesn’t pitch his storyboards at Pixar like Mamoru Hosoda pitched Summer Wars? Does he think that European toy companies don’t knock up their characters first before asking a scriptwriter to bolt a story around them? Three years before Condry uncovered this working method in Japan, I was already doing it in a writers’ room in Slough, working for a well-known Danish company … but in that case, how Japanese is any of this? Has he instead uncovered the soul of a globalised animation business, rather than Japan’s? For an anthropologist, Condry sometimes seems surprisingly accepting of whatever presentations of self are paraded before him. He rarely seems to consider the effect that his own presence might have on the performances around him, and occasionally could have benefited from a little cynical distance. That’s not to say he can’t bring the distance when he wants. 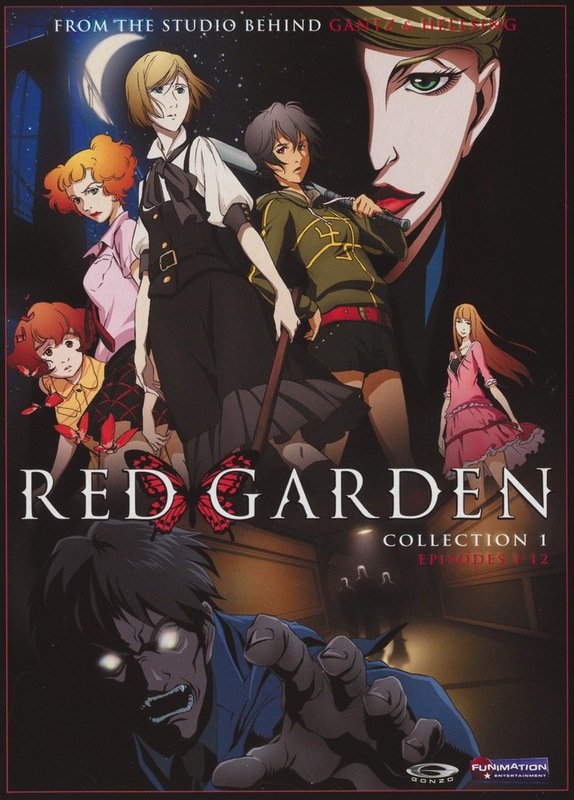 His brief voice-acting role in Red Garden leads to a rather charming account of the bashful, spluttering academic, roped in for a cameo, and is followed by a smart paragraph on the sense of being stage-struck, and the adrenalin rush of being in the centre of things. Condry offers a spark of true insight into why actors put themselves through what they do, but oddly does not consider the likelihood that the director has planned this all along, and is buttering up the foreign guest by giving him a walk-on. As the onstage fight between Tomino and Akai should suggest, there is a performative element in the public behaviour of anime figures, which crosses over to the way they treat journalists and academics. Toshio Suzuki, for example, rolls out his usual schtick about Miyazaki the childish creative, while he does all the grown-up business stuff. And sometimes, people are just wrong, and even a nodding, smiling anthropologist ought to say so. Toshio Suzuki offers an assessment of the ratings success of Heidi (1974), which makes for a good story, but it is statistically inaccurate. Three decades after the events described, in an off-hand comment in an interview with an academic, Suzuki seems to misremember the facts, and compounds his error by then interpreting them in a manner that would require 1970s Japan to have three times as many children in it as it did. So Suzuki mis-spoke – not a big deal; we all do it a dozen times a day. But check the ratings themselves, particularly considering that Space Cruiser Yamato was up against it in the schedules, and you will see that the high audience numbers for Heidi can only have come from adults tuning in alongside their children. This fact renders Suzuki’s own child-focussed analysis meaningless, and although it would actually help Condry make another of his points, it goes unaddressed because he takes what Suzuki says as gospel. But this rare lapse of due diligence should not detract from a welcome book that offers a genuine insider’s view of the anime industry at work, worth a hundred accounts of What Some Fans I Met Think Of Some Anime They’ve Seen. Such was Condry’s quest, to follow that star, no matter how hopeless, no matter how far. More like this, please. 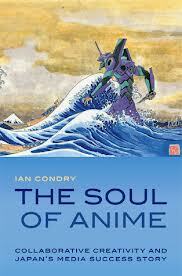 The Soul of Anime is available from Duke University Press in paper and on the Kindle. Jonathan Clements is the author of Anime: A History of Japanese Animation, coming later this year from the British Film Institute. After so many positive responses to the round-up of anime reading last year, I thought I would continue with a brief precis of some of the anime books I have encountered in the ensuing twelve months. 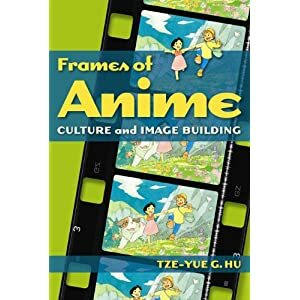 Largely overlooked in Anglophone anime studies was Hu Tze-yue’s Frames of Anime: Culture and Image-Building from Hong Kong University Press. For those who have read Hu’s essay on Hakujaden in the journal Animation, this is more of the same, extending her conclusions out of the Toei era and into the careers of Hayao Miyazaki and Isao Takahata. Meanwhile, Toshie Takahashi made a valuable contribution to studies of TV in general with Audience Studies: A Japanese Perspective, which has given me some great ideas about the history of early anime on television. 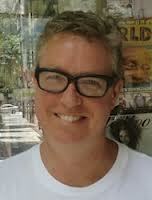 Andrew Osmond placed anime in an international context with his 100 Animated Feature Films for the British Film Insititute. Phaidon’s Manga Impact was actually a book about anime, which says it all. There were two excellent articles on Grave of the Fireflies and Space Cruiser Yamato, to be found in Stahl and Williams’ Imag(in)ing the War in Japan: Representing and Responding to Trauma in Postwar Literature and Film. This year I also caught up with Ian Condry’s 2009 essay ‘Anime Creativity: Characters and Premises in the Quest for Cool Japan’ in Theory, Culture & Society, worth noting here because it seems to be a fragment of a book-length work in progress. The same issue included Marc Steinberg’s ‘Anytime, Anywhere: Tetsuwan Atomu Stickers and the Emergence of Character Merchandizing,’ continuing to ensure that the Astro Boy era is one of the best documented in anime studies. Mechademia put out another strong volume. 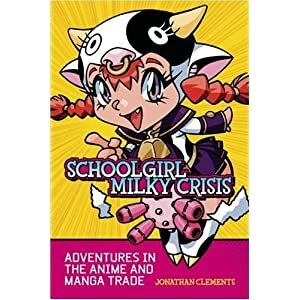 Oh, and Schoolgirl Milky Crisis came out on the Kindle. The 2006 Clements and McCarthy Anime Encyclopedia remains the largest and most comprehensive book in English about Japanese animation. 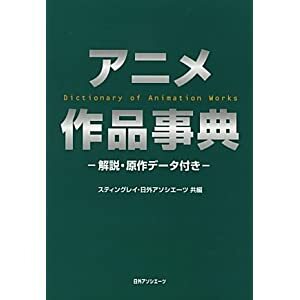 However, if you can read Japanese, there is now an even bigger tome to bend your shelves, the 1000-page Stingray/Nichigai Associates Dictionary of Animation Works: the biggest book ever written on the subject. It’s an odd work with rather short entries, omitting running times, for example, and concentrating instead on the origins of the anime discussed. This makes it an indispensable resource for anyone documenting the source material from which anime is made, as it lists the Japanese editions of Moomin books, the Bible and obscure children’s classics. It also covers non-Japanese animation, with a total of over 6000 little entries. But I can’t help wishing that it spent more time discussing the anime themselves, rather than vast bibliographies of the books related to them — a massive multi-volume list, for example, of Richard Burton’s Arabian Nights translation, in order to point to the origins of Tezuka’s 1001 Nights. Still, very handy, even at the astronomical cover price of $175. In Japan, this year has been quiet in terms of big new books on the anime industry, although Toshio Okada got in just under the wire with his new warts-and-all memoir, Testament. This year, I have instead been reading many older books on anime history, including memoirs by Shinichi Suzuki, Yasuo Otsuka, Ryuichi Yokoyama, Tadahito Mochinaga, and Yoshiyuki Tomino. Meatiest among them was Eiichi Yamamoto’s tell-all confessional, The Rise and Fall of Mushi Pro (1989). Written as Tezuka lay dying, it is a detailed analysis of the period from the early 1960s to the early 1970s, from the beginning of production on Tales from a Street Corner, up to the collapse of the studio in the wake of Tragedy of Belladonna. One wonders, perhaps, if now that Yoshinobu Nishizaki is dead, Yamamoto will write a sequel about the troubled 1970s in the anime world, during which he worked for Nishizaki on the Yamato series. 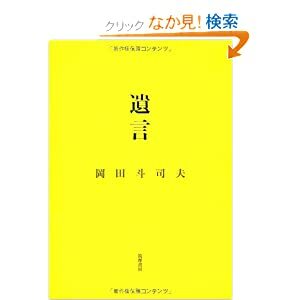 I also found much of interest in Nobuyuki Tsugata’s 2007 study Japan’s First Animation Creator: Kitayama Seitar?, a book which pieces together vital pieces of the anime puzzle from the 1920s and 1930s. Tsugata is the best author in the world on anime history matters, and this book is an amazing detective story. So little early animation survives that Tsugata has to piece together Kitayama’s career from old magazine articles, wall charts enhanced and enlarged from the background of staff photographs, and odd sources such as the proceedings of the Federation of Japanese Dentists. In the interests of leaving better testimonials for the Tsugatas of the future, the Madhouse studio continues to preserve production details and interviews of its newest films in its own rather pricey series. The Plus Madhouse series of creator-specific books have proved to be a mixed bag. Some, such as the volume on Rintaro (Shigeyuki Hayashi), fill in vital historical and personal gaps in our knowledge of the industry. Others… don’t, and risk diluting the brand by becoming little more than puff pieces for someone’s latest film.